MV Products of North Billerica, Massachusetts. 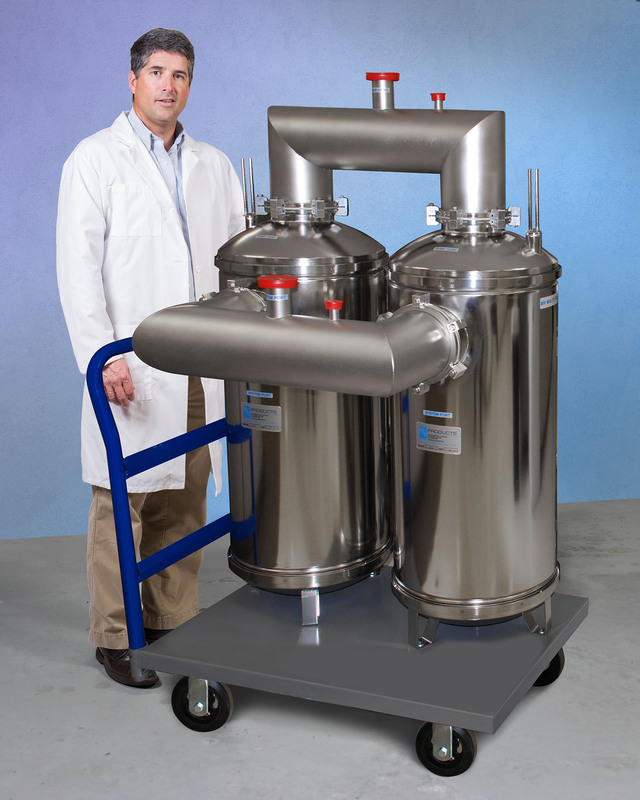 MV MultiTrap® Duplex Carts feature two 16” high capacity vacuum inlet traps supplied with a broad selection filter cartridges to meet specific customer requirements for high flow vacuum deposition processes. They provide up to 160 sq. ft. of filtration surface area, 60 grams per sq. ft. of particle retention, and permit easy access to process components for maintenance. Custom tailored to the process, MV MultiTrap® Duplex Carts can be equipped with internally cooled baffles with up to 30 sq. ft. of cooling surface area and each MultiTrap® unit can be mounted vertically or horizontally and can be supplied with NW-40 to ISO-160 ports. Available filter media includes pleated high-temperature polyester offered with 25- and 100-micron ratings. MV MultiTrap® Duplex Carts are priced from $14,995.00, depending upon configuration. Price quotations are available upon request.